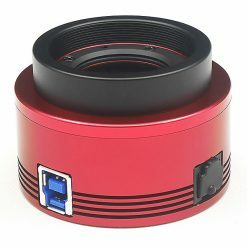 ZWO’s ASI120MM-S astronomy camera introduces USB 3.0 speed allowing up to 60FPS capture at full resolution (1280 x 960)! 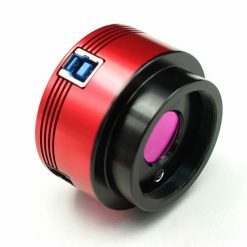 High sensitivity and fast frame rate makes this camera perfect for high resolution lunar, planetary and solar imaging. The ASI 120MM-S is extremely sensitive with a peak QE of 75% showing no fixed pattern noise (FPN). Exposure range is from 64µs up to 1000s. In addition the ZWO cameras have a built in ST4 auto guiding port meaning you can also use it for auto guiding with a dedicated imaging camera. 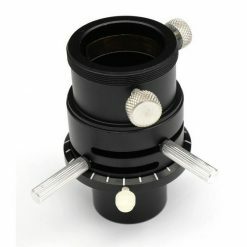 The ASI120MM-S proves good things come in small packages – it’s only 62mm diameter x 28mm deep to the 2″ flange. 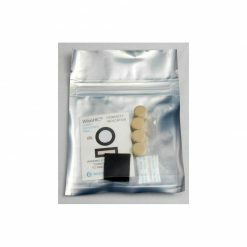 Available to backorder - Allow 2-3 weeks for backorder products. Large, specialist and premium orders may take longer however - contact BINTEL for details if unsure. New Zealanders don't pay GST! The ZWO ASI120MM-S has the same features of the ASI120MM but with the addition of high speed USB 3.0 communication allowing capture rates of 60FPS at full resolution. 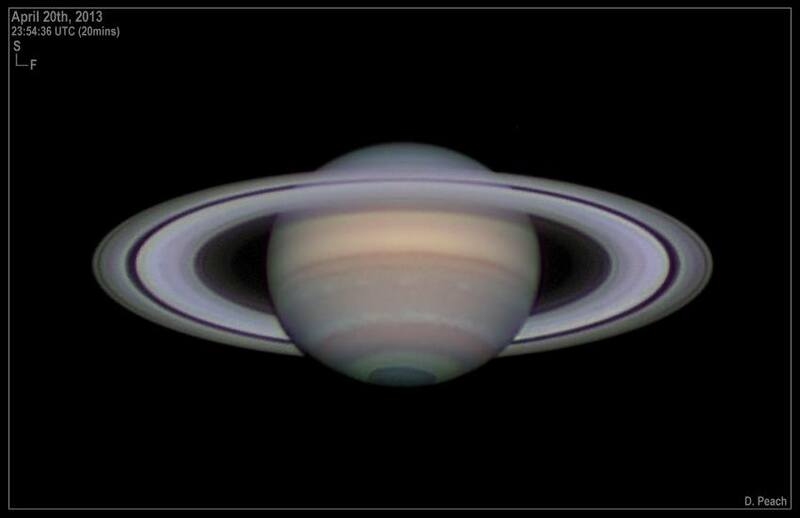 Faster frame rates help capture moments of steady seeing bringing out the best in your lunar and planetary images. Fast frame rate and superb resolution for exquisite planetary, lunar and solar imaging (using a properly filtered telescope). 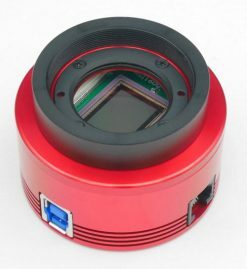 Long exposure imaging of many brighter deep sky treasures thanks to the ASI120MM-S high quantum efficiency and 12bit output. 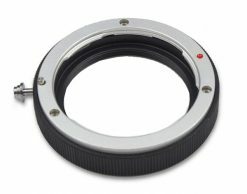 The ability to capture all sky views of satellites and bright meteors using the supplied 150° wide angle C-mount lens. Autoguiding your mount in conjunction with a dedicated DSLR or cooled CCD camera using the in-built ST4 compatible autoguider port. This camera from ZWO is a real “all-rounder” and represents outstanding value for money. 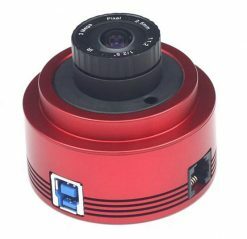 The ASI120MM-S USB3.0 models are recommended for anyone using computers with USB3.0 hubs. There are numerous reports that the older ASI120MM (USB2.0) will not work on Macintosh with USB3.0 hubs. 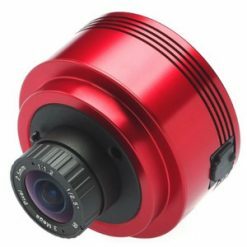 The ZWO ASI120MM-S camera uses a monochrome 1/3″ CMOS MT9M034 sensor, with a pixel array of 1280 x 960 and a pixel size of 3.75 um. The sensor has outstanding sensitivity with a peak QE of 75%! A major bonus is the inclusion of a 150º wide angle lens attachment allowing you to use the ASI120MM-S even without a telescope! 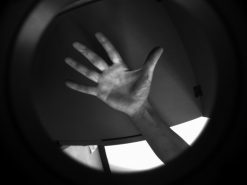 When connected to the camera, you can do super wide angle shots similar to that produced by an all-sky camera. Capture images of the Milky Way stretched overhead, or record satellite passes or bright meteors as they flash overhead. High Resolution Solar System Imaging – par excellence! 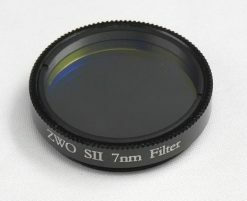 The ZWO ASI120MM-S camera is a proven performer when it comes to imaging the planets, Moon and Sun. The sensor can deliver up to 60 fps at full resolution and a staggering 254 frames per second at reduced resolution (340 x 240). The wide range of capture resolution settings available with this camera allows you to go from planetary imaging to deep-sky quickly and easily, without the need for another camera. 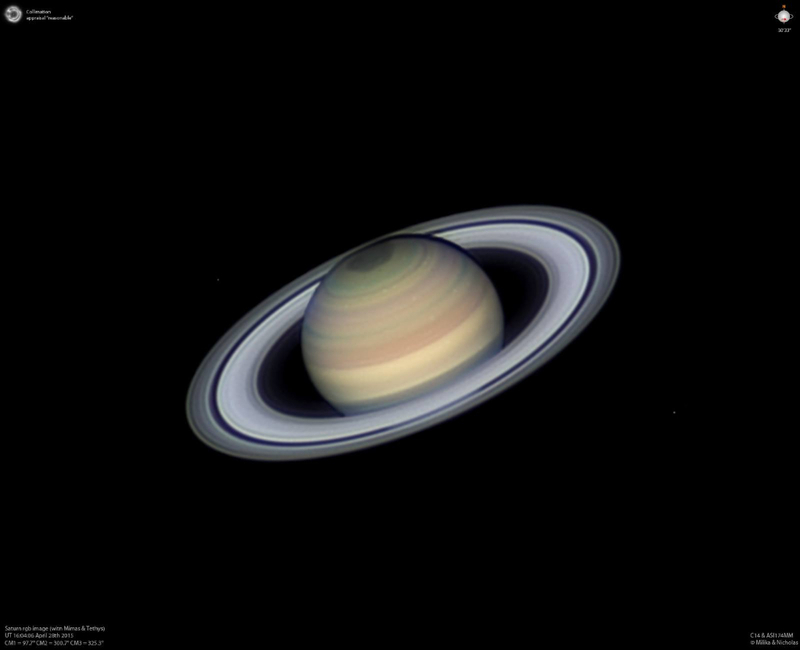 Some fine examples of planetary images captured with the ASI120MM. 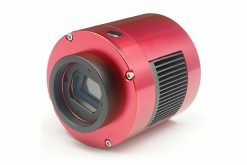 The ZWO ASI120MM-S allows you to choose a smaller region of interest that can be captured at a much faster frame rate compared to full resolution. This is useful for planetary imaging where even at very long effective focal lengths the desired target only occupies a small part of the entire sensor area. 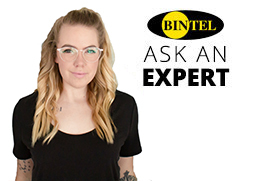 In such instances you can specify a smaller ROI and capture at a very fast frame rate. 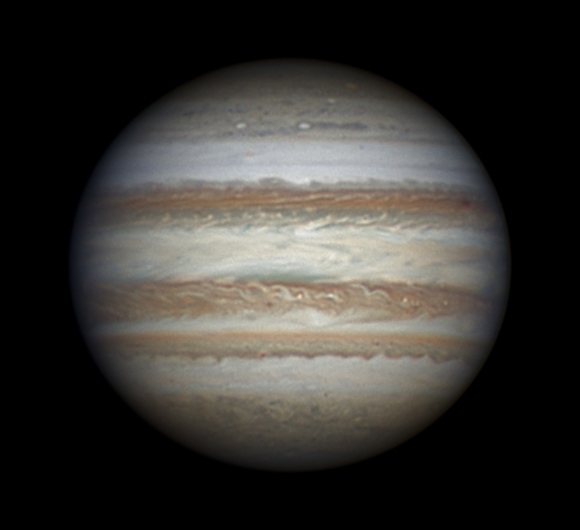 This allows you to capture a sequence of videos through red, green and blue filters in a very short period of time avoiding problems of colour channels not aligning properly due to Jupiter’s very fast rotation. It also means the captured sequences don’t take up as much storage space. The different ROI options are shown at the bottom of the page. 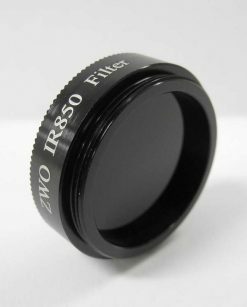 ZWO’s ASI120MM-S: The Complete Package! 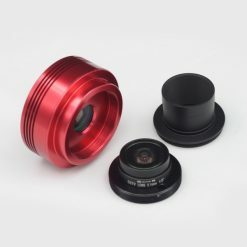 The beautiful red housing of the ASI120MM-S is made of aluminium, and sports a USB and ST4-type auto guider port. 6.5-foot cables for both are included in the box. 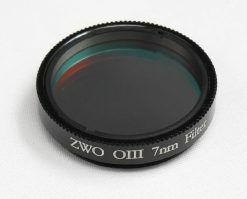 The 2″ interface has M42X0.75 internal threads. 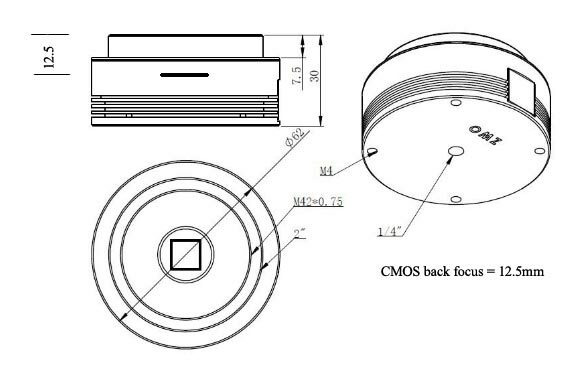 A standard M42 to 1.25″ nosepiece rounds out the package. The underside of the camera has one 1/4-20 thread in its center, and four M4 threads evenly spaced around the outside edge. 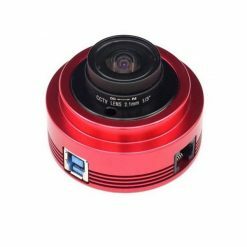 This camera comes with a 2m long USB cable, a 2m long ST4 guider cable, 1.25″ clear window, 150º wide angle lens attachment, Driver & Software CD, and a M42-1.25″ nosepiece. Software on the CD includes the users manual, Windows camera driver, ASCOM Driver, SharpCap Image Capturing Software, FireCapture Image Capturing software, and Stakkert 2 Stacking Software. Product manuals plus drivers and software are available here.